When your home in Baldwin Park is under strain due to water damage situations like roof leaks, sewage spills, flooding, or pipe bursts, you can always rely on the water damage Baldwin Park team from 911 Restoration Los Angeles to take on those issues for you. We can provide the immediate solutions that can ensure your home gets back to being safe and comfortable. Water damage can affect your home in a number of ways that range from the natural disaster to man-made accident. Our team is well prepared for all of these various instances, and we take great pride in our ability to always put the customer first. We will even help out with all of the insurance paperwork that accompanies a claim so that you don’t have to take on too much at once. For your convenience, our specialists are available 24/7 to make sure any leaks are taken care of right away, so give our water damage Baldwin Park team with 911 Restoration Los Angeles a call today! It can come in various shapes and sizes which can affect various sections of your home. Common water damage occurrences like roof leaks, toilet overflows, flooding, and pipe bursts can all lead to serious structural problems if they aren’t taken care of thoroughly. We will use advanced drying equipment to remove water and moisture out of your home effectively. Our tools will also help us locate hidden moisture spots so we can be thorough. To ensure your belongings remain safe, we will be providing our storage services. During our inspection, we will be checking for any signs of fungal growth and provide mold remediation when necessary. We will decontaminate areas affected by sewage spills. We will ensure that roof damage or pipe bursts are patched up right away. We will take care of clogged gutters and downspouts for you. Our licensed, insured, and bonded water damage Baldwin Park team will conduct complete property restorations that will provide your home with a fresh start! We have over three decades of experience in handling various water damage emergencies. Our expertise allows us to offer you only top notch restorations that you can always count. Let our specialists take care of those leaks or bursts for you. 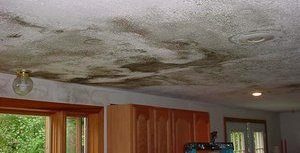 911 Restoration’s water damage Baldwin Park specialists know how important it is to have water damage repaired right away or else you run the risk of further damages. Problems like roof leaks and pipe bursts can eventually lead to other complications such as wood rot and mold growth if not taken care of immediately. To be able to get your home back in to shape as soon as possible, you can expect our water damage Baldwin Park specialists to be there within 45 minutes of your emergency call. Once on site, our technicians will conduct a free inspection and estimate of your property. This will help us assess the problem accurately and offer you our recommendations on the best course of action. Our water damage Baldwin Park specialists are trained and equipped to take care of all of your water damage concerns. Give our water damage Baldwin Park team with 911 Restoration Los Angeles a call so you can get a fresh start today!